I had a classic conversation with a vet this week. 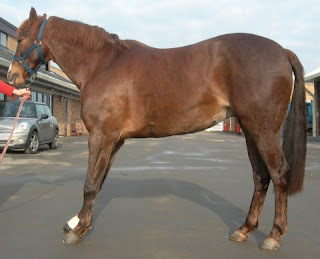 She had been to see a horse who was a rehab here a year ago with a palmar hoof problem. The horse had recently moved yards and lives several hundred miles away; he was new to the vet and she was understandably concerned because he was footsore. I asked about the grazing at his yard (for reasons which will be apparent later on) but she told me this wasn't the issue. In fact, apparently the reason he was uncomfortable was because he had "dreadful pointed toe conformation" and because he was "walking on his heels". I felt like asking her what she thought he should be walking on but I didn't have to. She told me a second later what this horse needed: the solution to the terrible problem of him walking on his heels was glue-on shoes at £800 a set plus - of course - box-rest and bute. Meanwhile, since the vet's visit the owner had kept the horse off grass (ex-dairy pasture and very, very, rich) as she and I both suspected that his footiness (which came on within 48 hrs of him moving yards) was more likely to be related to the grazing than to him "walking on his heels" - which incidentally he had been doing soundly and happily for many months in his previous yard. VGF and owner assessed the horse on concrete and walked him up and down. Landing was good (those heels again! ), medio-lateral balance was good, comfort levels were improving, feet looked fine. The Very Good Farrier trimmed a bit off the toe - which was a sensible idea because it immediately resolved the "dreadful pointed toe conformation" which was bothering the vet and since he was already "walking on his heels" he was clearly more than happy to load them(!). In fact, as the VGF said, the pointed toe had only occurred because the horse had suddenly been unable to work - in normal circumstances he was self-trimming. Just to make sure, they got another farrier to have a look - the specialist in glue-on shoes - who also happened to be on the yard. 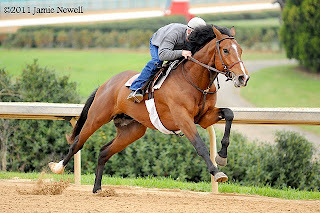 He agreed; horse was comfortable, feet were looking good, no need for glue-on shoes. Now, although I didn't mention it in my conversation with her, I was pretty surprised by this vet's comment. 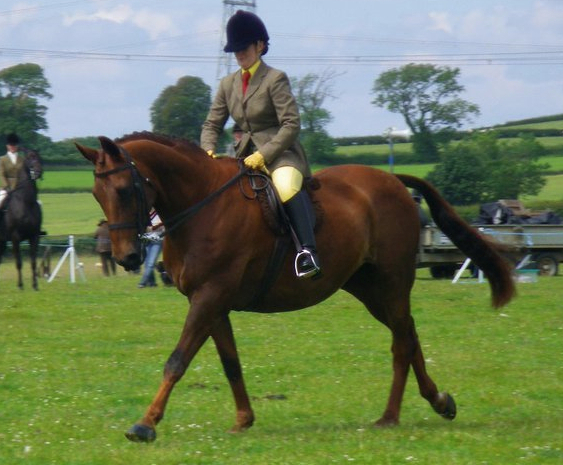 Most vets (including all the other, excellent vets I've spoken to this week) and most people who have spent any time studying the anatomy of a horse and how it moves have no difficulty understanding why a heel first landing is beneficial for the horse. Its something I've blogged about many times so I won't repeat it, but the anatomical explanation is here and it details why a toe first landing stresses the DDFT and other soft tissue, leading to injury and damage if its continually repeated. All horses will - unless they are in pain - land heel first when the limb is fully extended. It doesn't happen when horses are moving in a very collected gait (or going uphill) but in a normal or extended stride (or when on flat ground or going downhill) a horse should and will land heel first. I've occasionally heard people suggest that a heel first landing is a sign of laminitis but to be honest there is a huge and noticeable difference in gait quality and demanour between a laminitic horse (above, footsore, tense and short-striding even if loading the heels) and a sound horse working in full extension with a correct and comfortable landing. 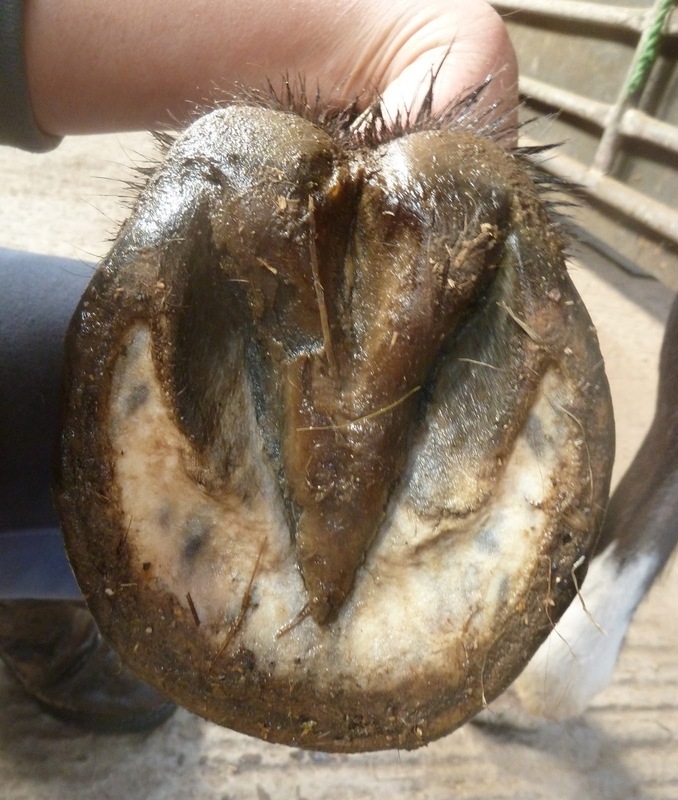 Equine anatomy and soft tissue trauma can be complicated to get your head round but there is another, very obvious problem when a horse lands toe first, which most owners will already be aware of: shock absorption. 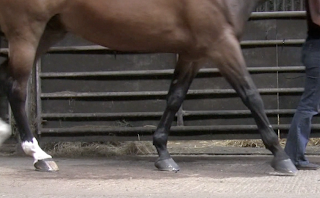 It doesn't take a rocket scientist to realised that there is one part of the hoof which is supremely well designed to shock-absorb, even when the entire bodyweight of the horse lands on one outstretched foot. 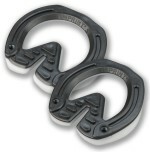 In fact, shock absorption is the "DUH"oh-so-obvious explanation of why horses need to land heel first. Its something which should be immediately clear to anyone who has ever picked up a horse's foot - and its doubly apparent when you pick up a healthy bare hoof. Come on children - can you guess which bit of the foot has evolved to shock-absorb? Is it the flexible, rubbery bit at the back which has superb proprioception and is able to expand, contract and adapt to uneven terrain or is it the hard pointy bit at the other end? No gold star, I am afraid, if after looking at a real, live hoof on a real, live horse you think horses have evolved to land anywhere other than the palmar hoof. Certainly no gold star if you are an "expert" who is happy to state, as Katie Jerram did in a showing magazine about spotting a promising horse: "I want the toe to come down slightly before the heel does...I don't want to see the heel come down before the toe, as this puts strain in the tendons" Really Katie - and exactly which tendons would those be? Try picking a horse with a decent landing, Katie - you never know, he might last a bit longer, like dear Ginger (above and below) a former rehab who not only struts his stuff on the beach but went home to regularly win in veteran classes in his twenties even though his showing career had supposedly ended when he was lame with navicular syndrome and had a toe first landing. I'm not asking you to take my word for it - this isn't my idea, after all. All you have to do is look at a sound horse moving fluently and in the way it has evolved to move over millions and millions of years. *There is sometimes confusion because we use the same term - heel - in both humans and horses but anatomically the 2 structures are different. The horse's heel is actually closer to being the palmar aspect of one finger. Humans land heel first walking but human runners - particularly when barefoot - often land midsole rather than on the heel. 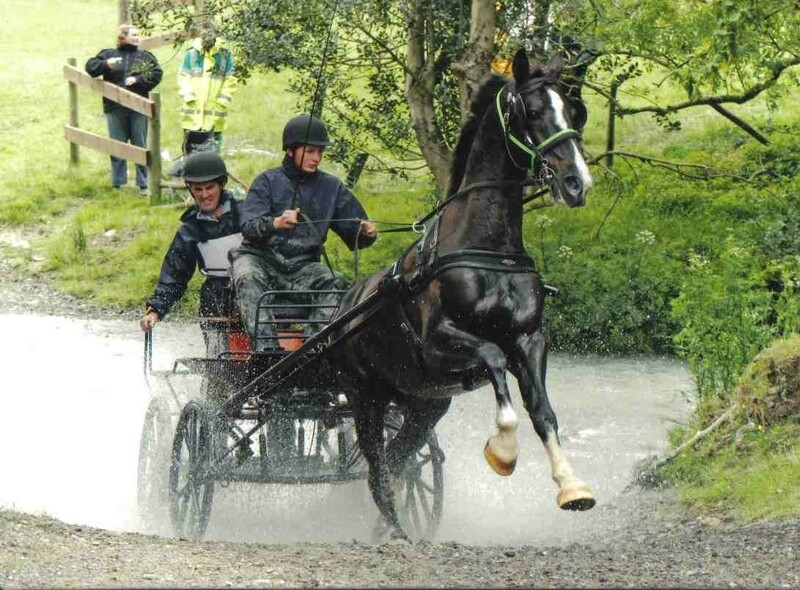 Horses landing "heel first" are actually still doing something similar to human runners - landing on the palmar aspect and breaking over dorsally. You'll find, if you look at enough horses, that a horse who is unwilling or unable to land heel first is a horse with palmar hoof pain. This why owners often report that becoming shuffly down hill is one of the first things they noticed in horses later diagnosed with navicular syndrome or DDFT/impar ligament damage. 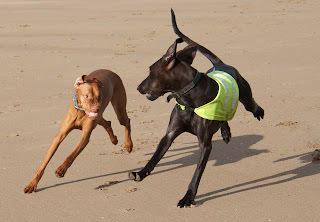 In fact, a toe-first landing is often the first sign of problems to come. 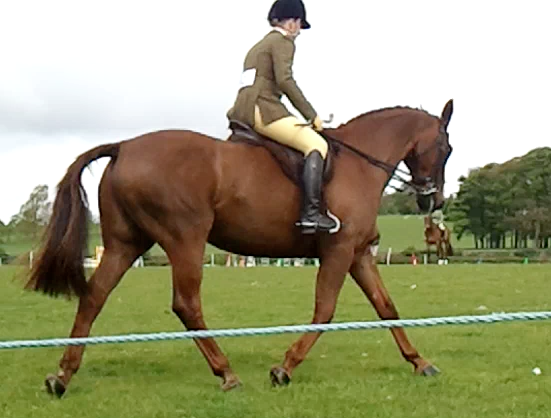 This is also why - very often - the horses who come here aren't landing heel first when they arrive. Its not rocket science - with a lameness which blocks to a palmar digital nerve block this area is painful so the horse won't engage it if possible. No coincidence then that a change in landing is frequently the first sign of improving soundness. But don't take my word for it - let the horses demonstrate. He he! Great post as usual and it's worth revisiting often. Snippets like shuffling downhill are especially useful to me as well.
" heel pain) will be landing on the front of the foot and then loading backwards - though it would be fun to watch some people try :-)*"
No Nic, I've never seen a pony do the moon walk. It was real to you! I just face-palmed myself through the entire post. These people are vets? Experts? HOW? I recently got into a fight with the AANHCP folks who are apparently claiming now that Jaime Jackson says a toe-first landing is optimal and "has been saying that for 20 years".... one more reason to write that group of folks off as a bunch of nuts! I know, Andrea :-) Luckily vets like her aren't too common over here but I certainly remember Jaime Jackson saying that 10 years ago - but then he was only looking at dead legs! Were the toe first landings and the dead legs connected in any way? 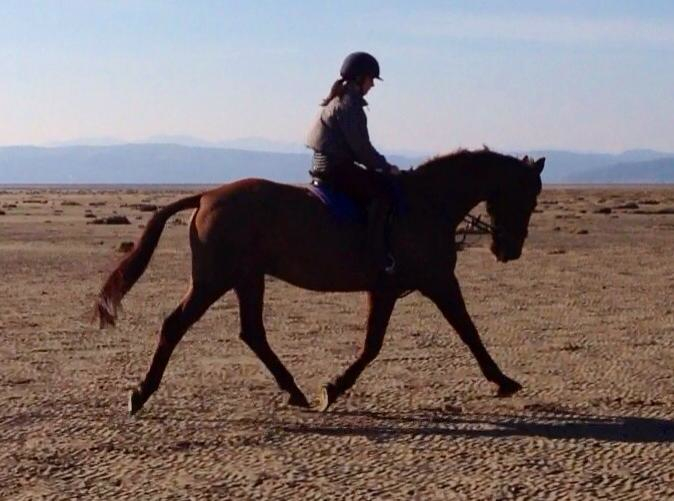 Obviously everything you're doing is wrong, since all your horses are sound and have a heel-first landing. Seriously, A VET said this!?!? Gak!